Photogrammetry is the traditional name given to the derivation of some 3D quantity derived solely on the basis of a collection of photographs. In recent years this has been an intensive area of research and the quality of the algorithms is reflected in this effort. The state of the art is currently that one can create reasonable quality 3D models from a collection of photographs without a significant amount of domain knowledge, specialist hardware and software, or with the need to place markers in the scene and follow rigorous procedures. 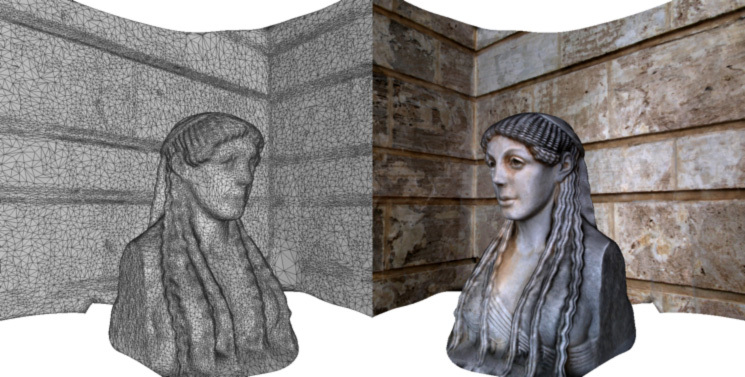 This workshop is targeted at those who wonder if they could make use of 3D model reconstruction from photographs and would like a thorough introduction to the subject. It will discuss the theory, introduce the current software solutions/pipelines, make reference to camera and techniques that result in an optimal chance of successful reconstructions, and present some of the post processing requirements and tools. In short, the workshop will aim to provide a complete introduction to the subject. The emphasis will be towards creating 3D assets for gaming environments and for 3D capture of heritage objects, this later application will be the topic of most of the examples based upon the main application of this technology by the presenter. The structure of the workshop will be approximately 1.5 hours of formal presentation followed by at least an equal time of experimentation and questions by the attendees. Attendees are encouraged to bring their own cameras and laptops, advice on suitable camera and laptop specifications will be provided on request. At the end of the workshop attendees should feel confident in applying and experimenting with this exciting new technology. Slides from the presentation (Movies replaced by still images).